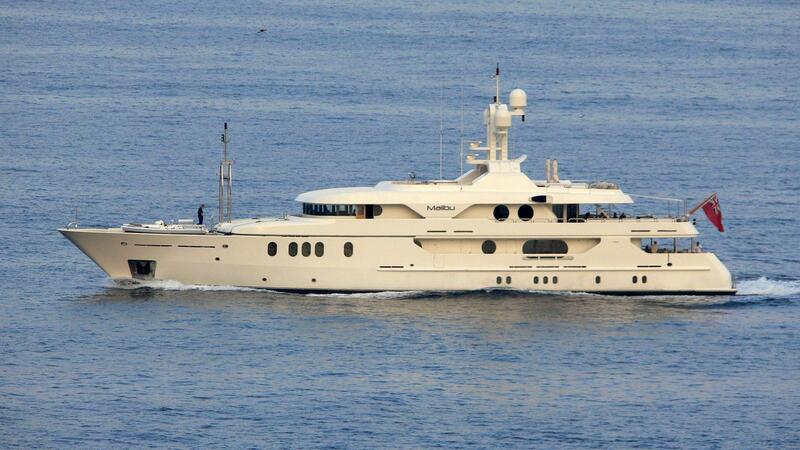 Motor yacht MERCURY (ex Malibu) is a 50.00m (164') charter yacht built on Amels 50-metre hull form in 2001. 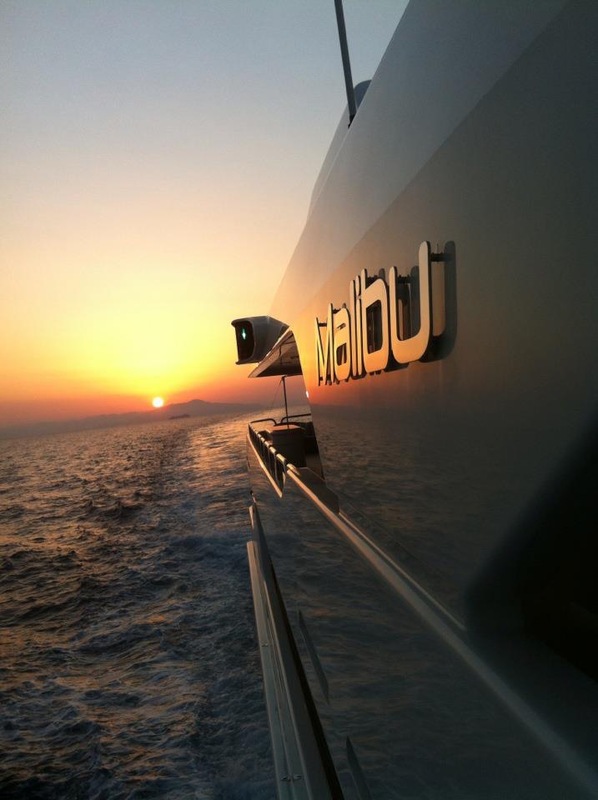 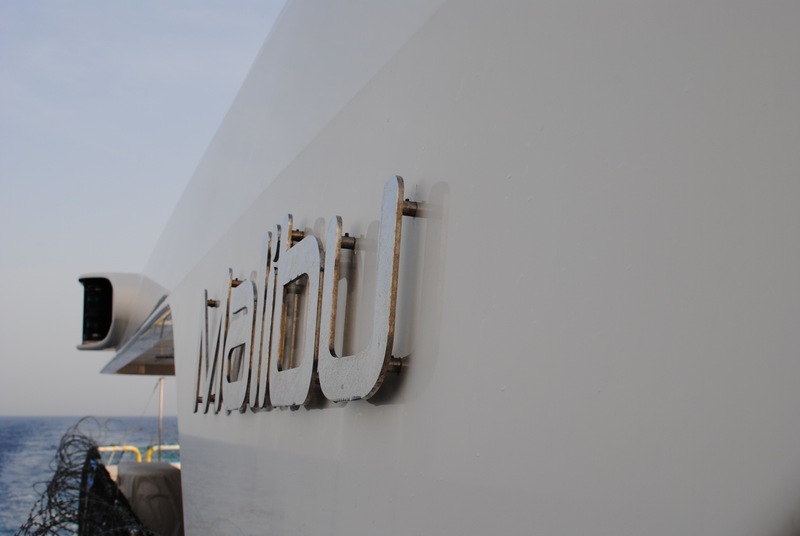 Malibu is a long-range cruiser and a stylish yacht that is able to accommodate up to 12 charter guests. 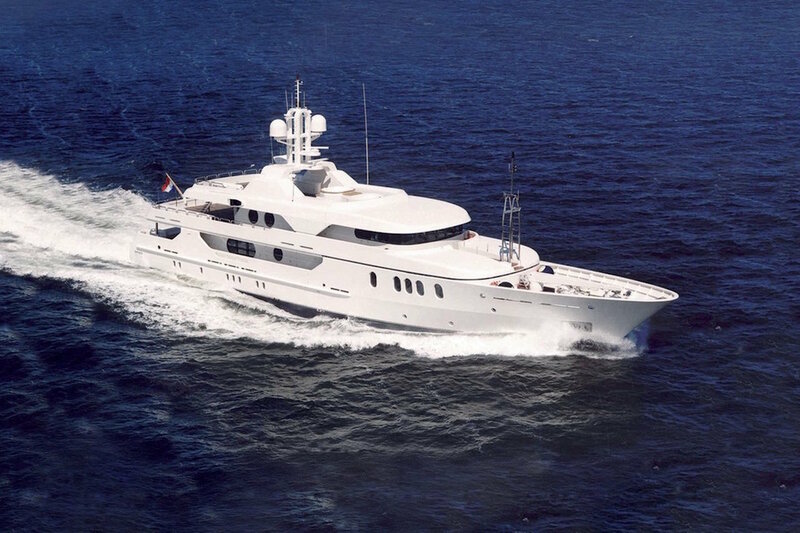 Built by the Amels Shipyard in Holland, M/Y MERCURY was built for comfort with plenty of room in her spacious living areas. 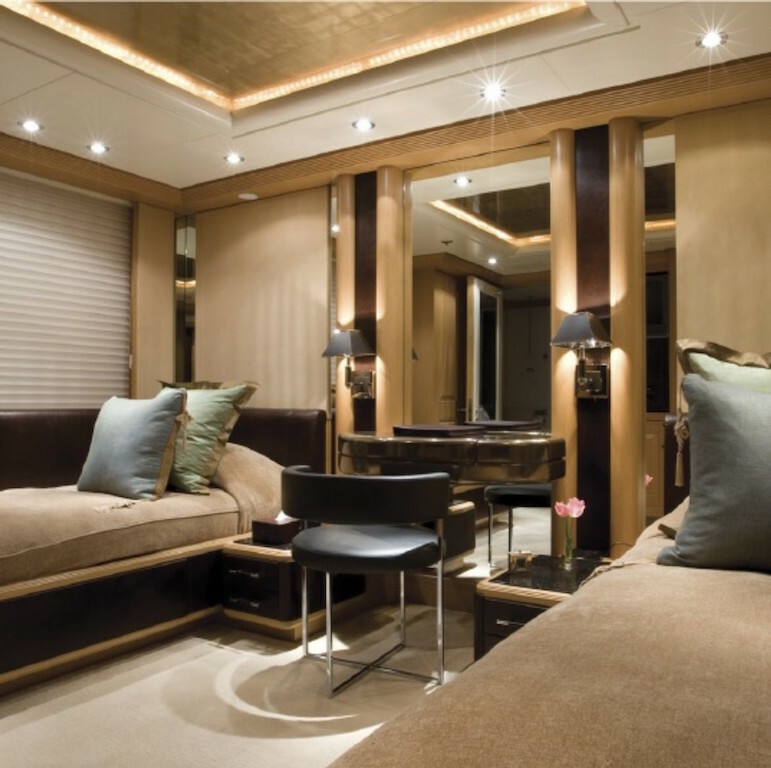 Her stylish interior design was perfected by Terence Disdale and Raymond Langton resulting in a soft and soothing atmosphere promoting relaxation and well-being. 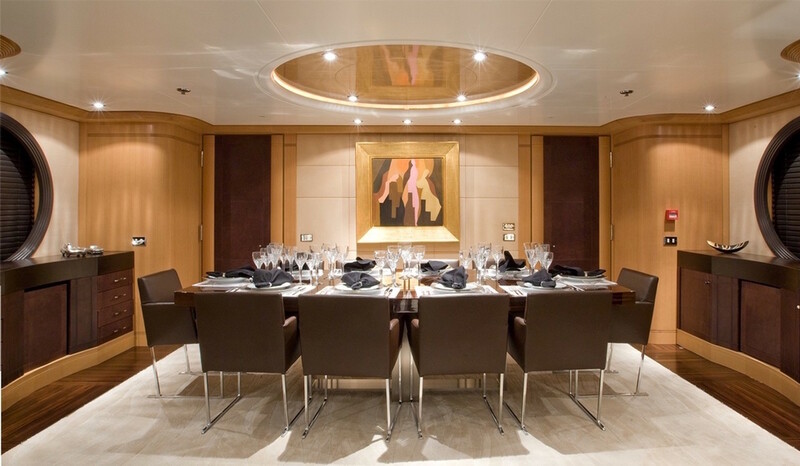 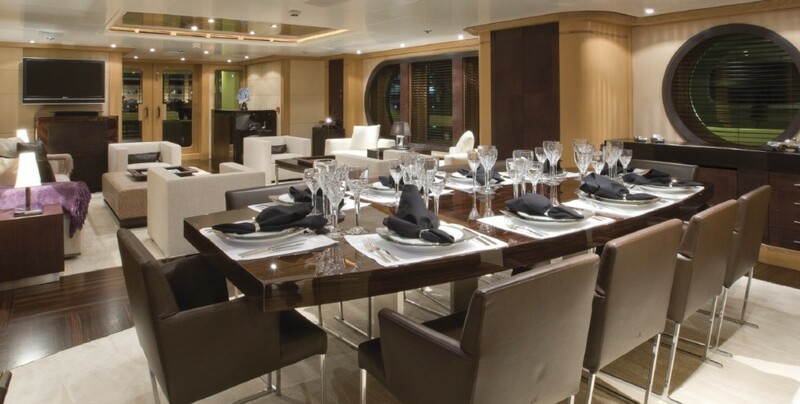 She offers a variety of options for dining: there are alfresco dining areas on the bridge deck and sundeck, as well as a large dining table in the main salon. 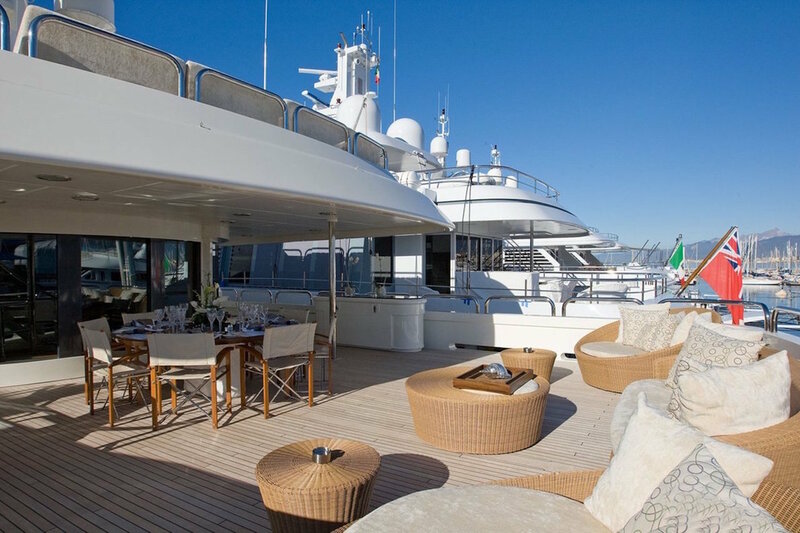 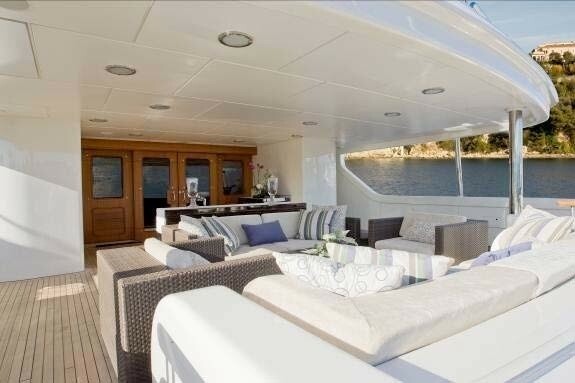 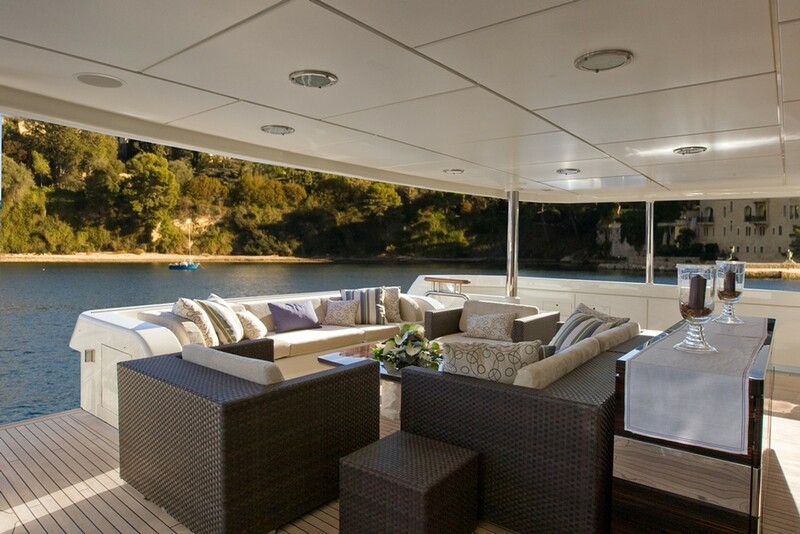 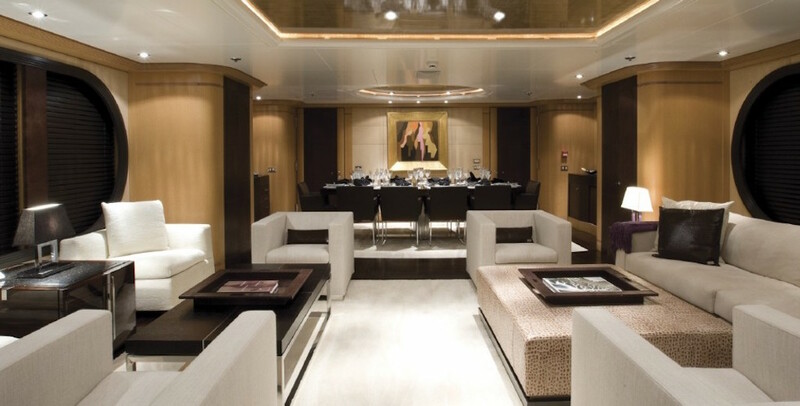 The main deck bar is ideal for enjoying some cocktails and socialising. 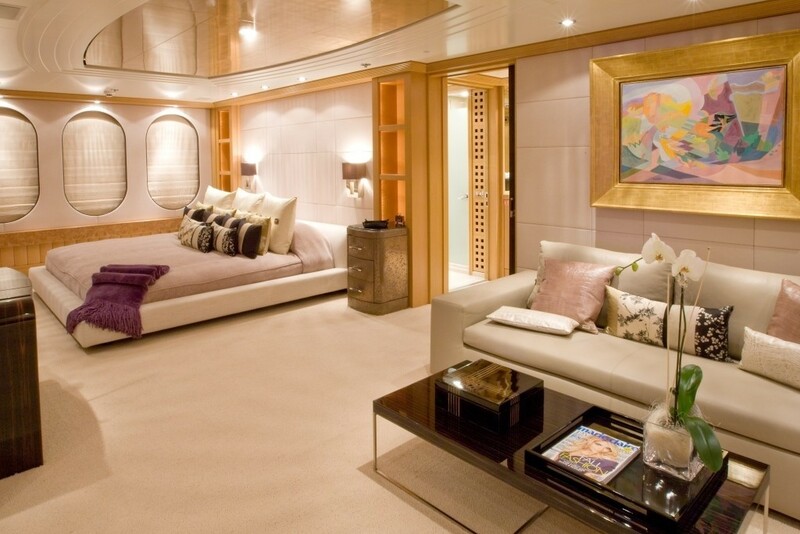 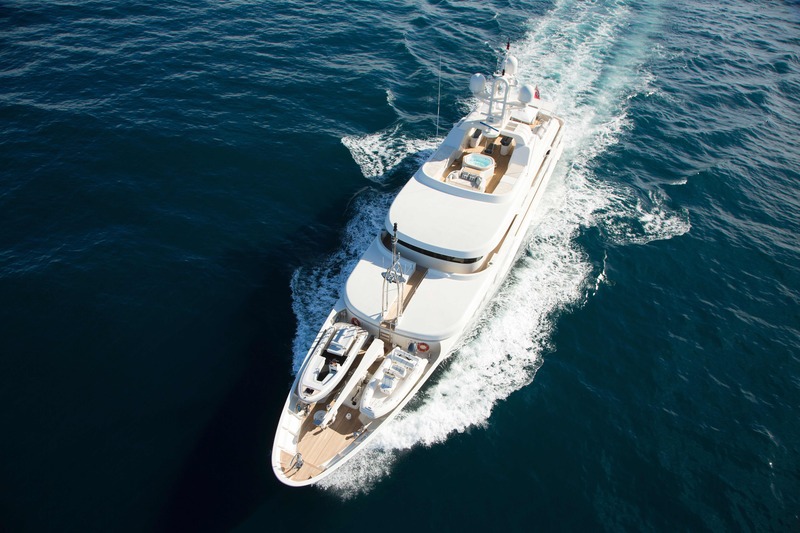 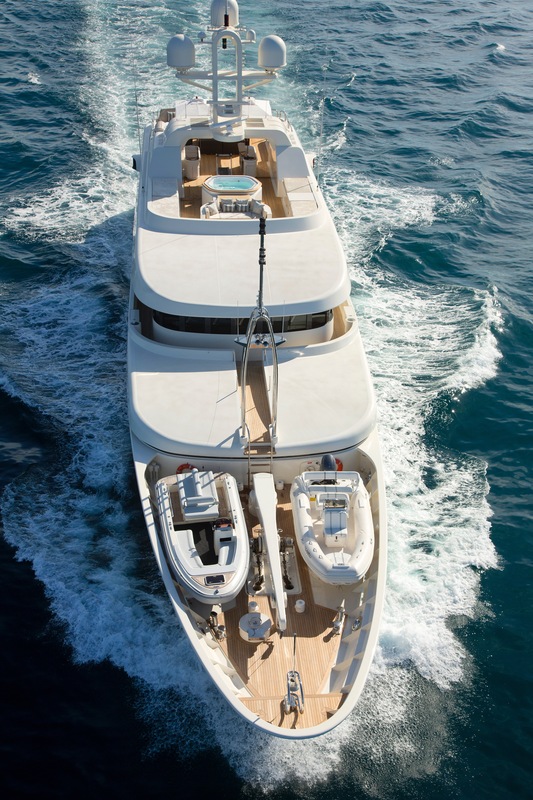 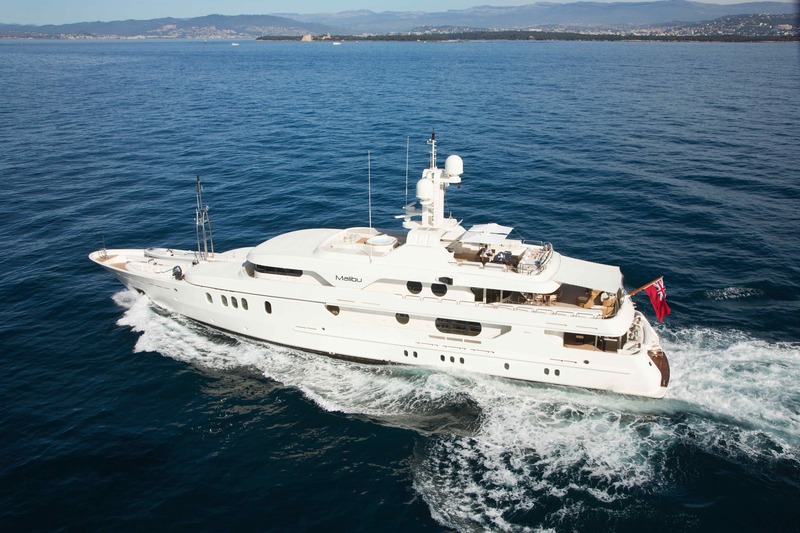 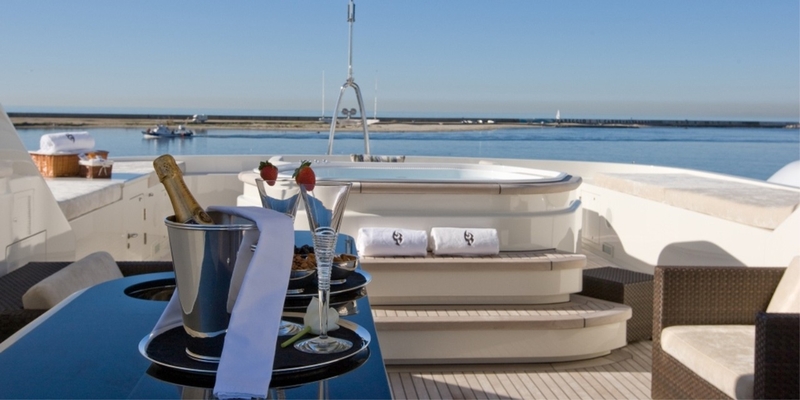 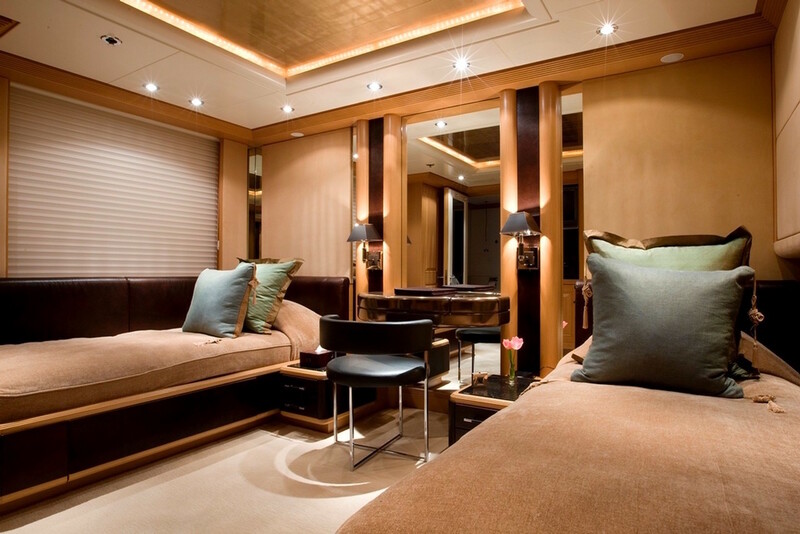 Amels yacht MERCURY is able to accommodate up to 12 charter guests in 5 cabins. The cabin configuration consists of a Master Cabin located on the main deck forward, and two double cabins and two twin cabins located on the lower deck, plus 2 Pullman berths. 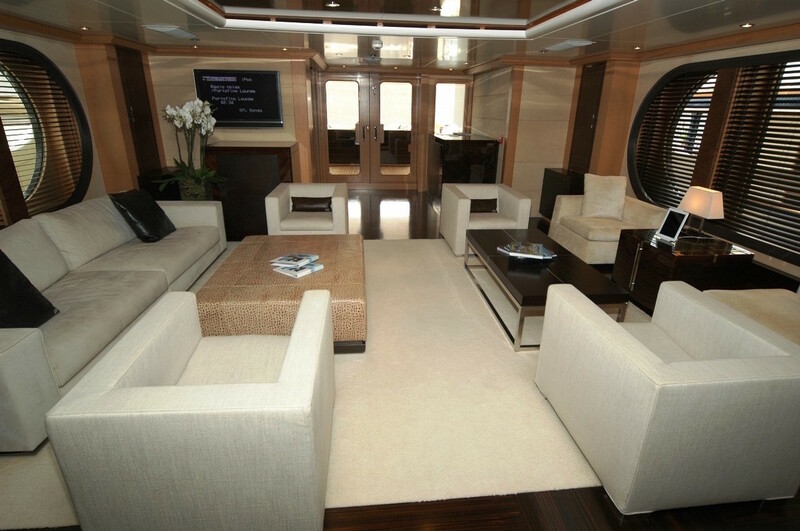 MERCURY is able to cruise with up to 12 guests. 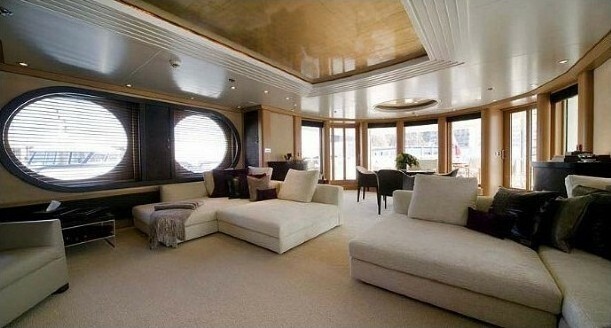 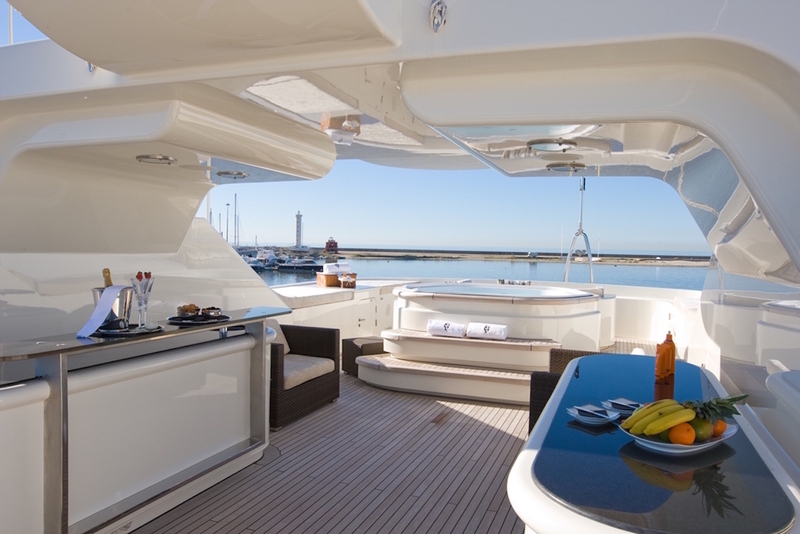 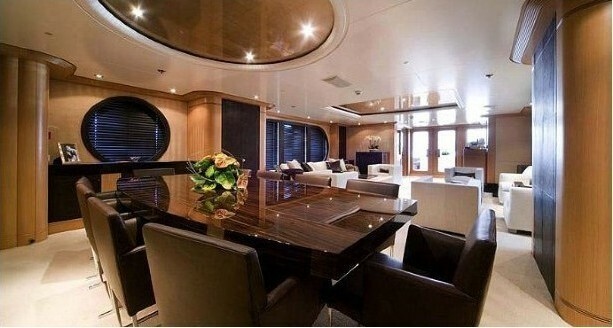 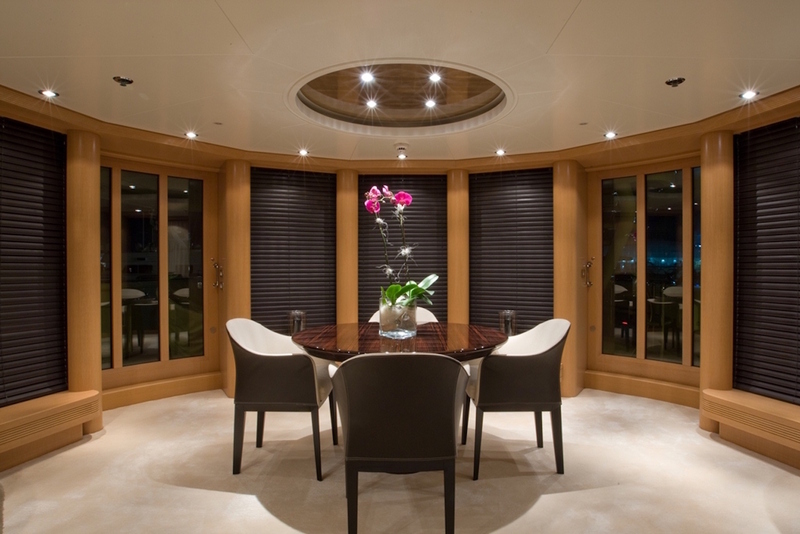 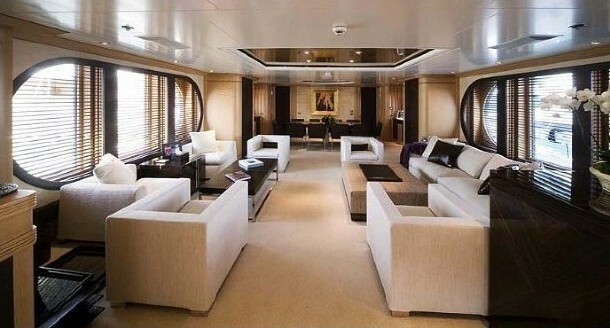 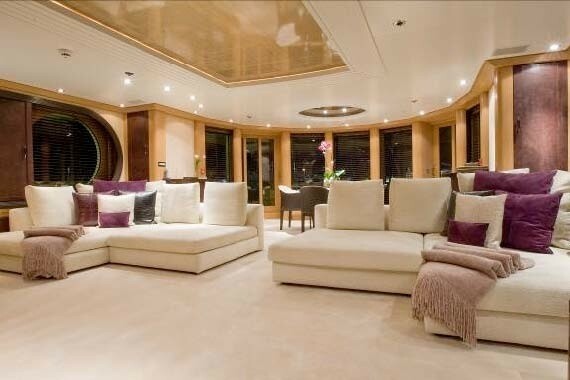 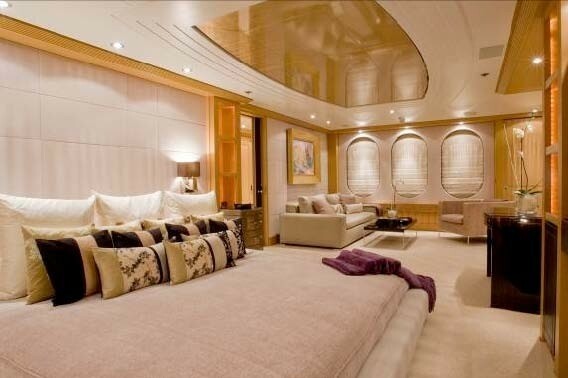 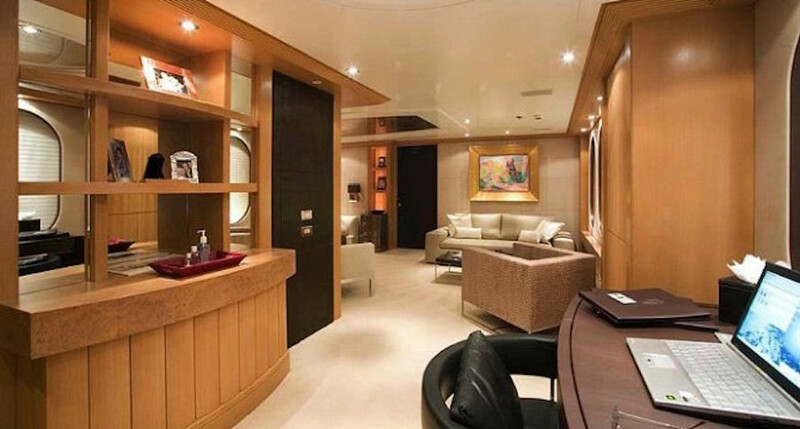 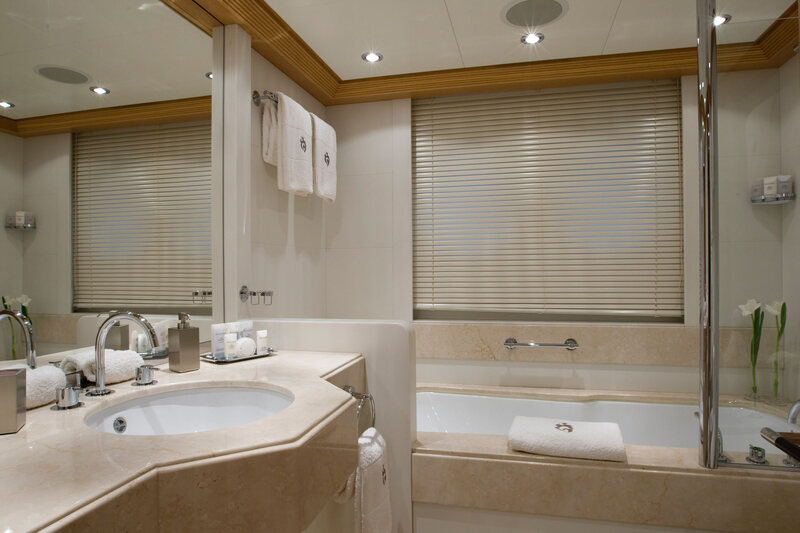 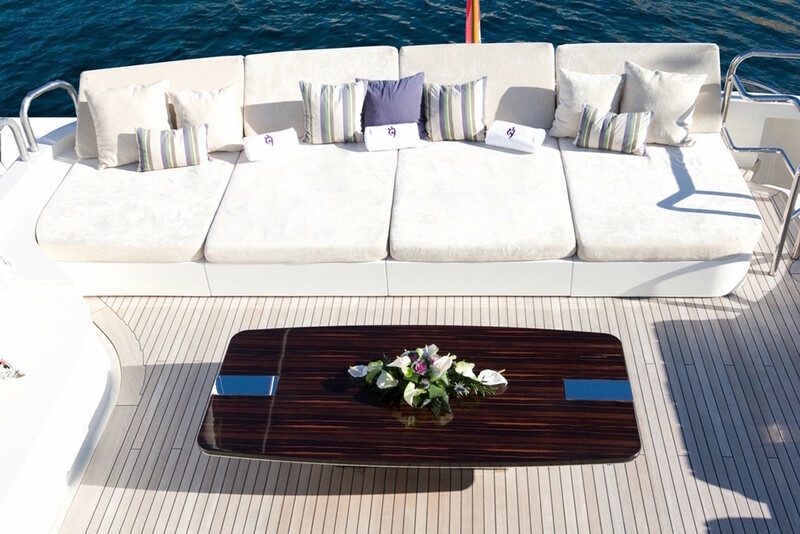 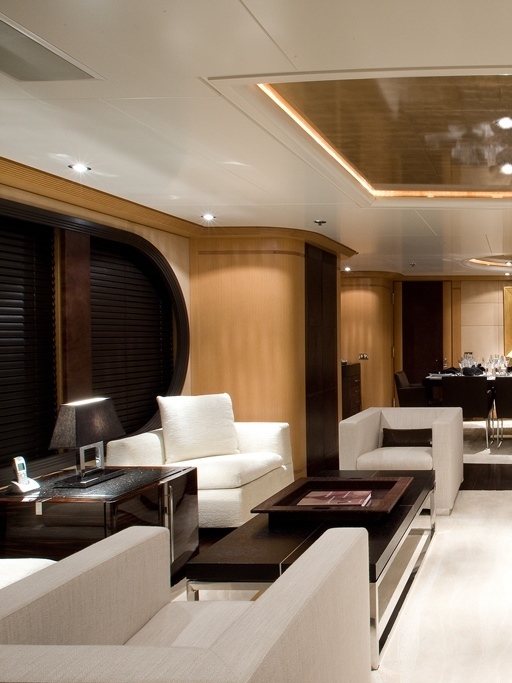 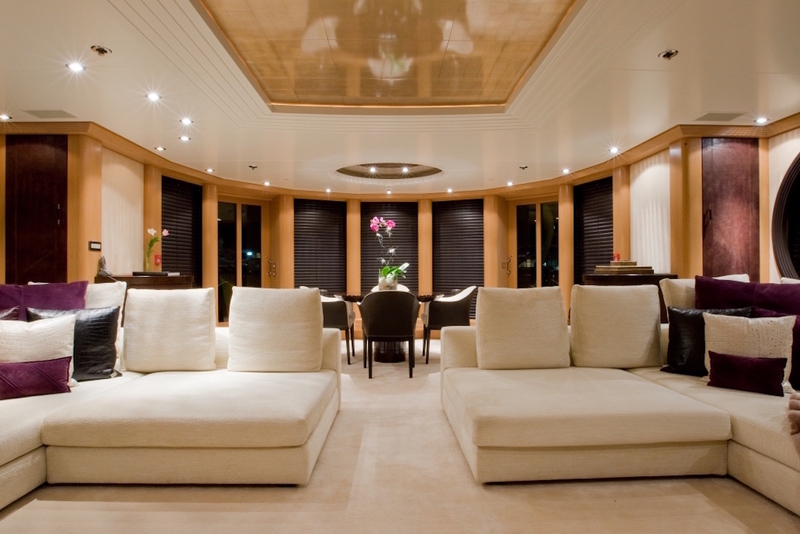 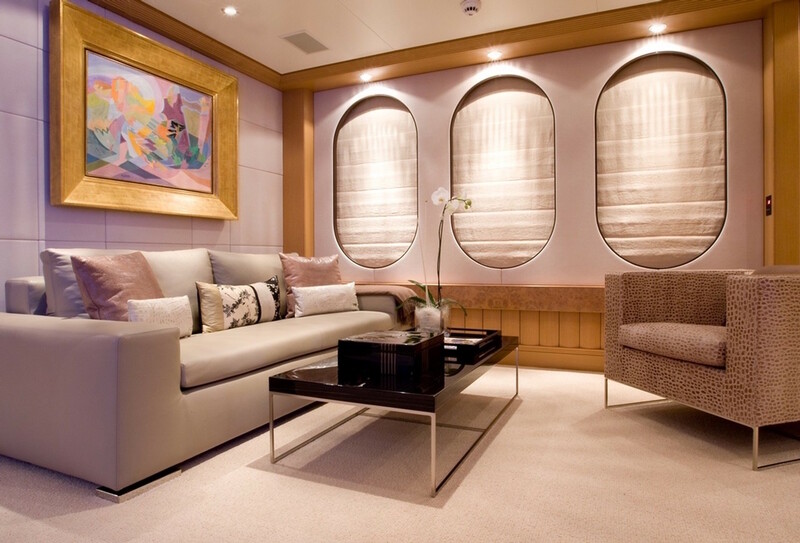 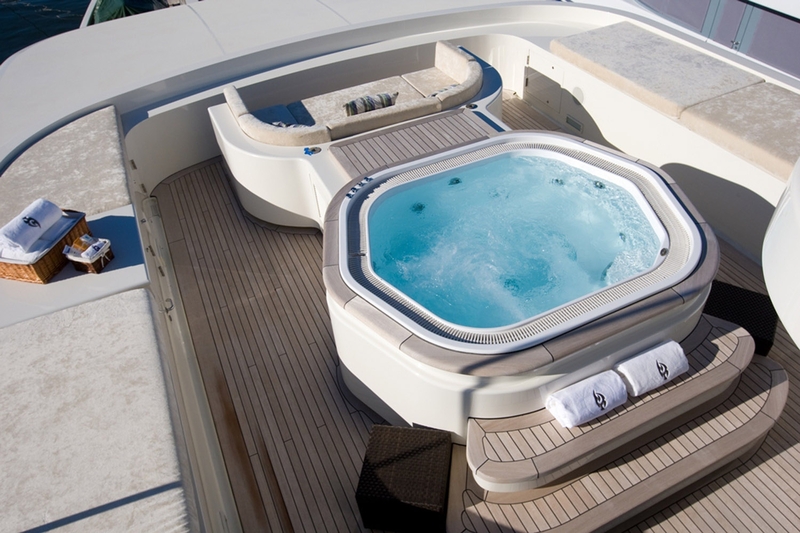 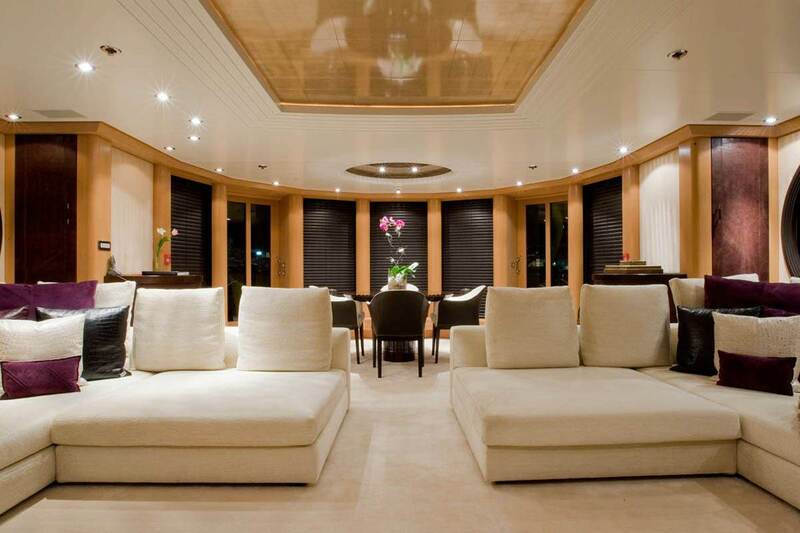 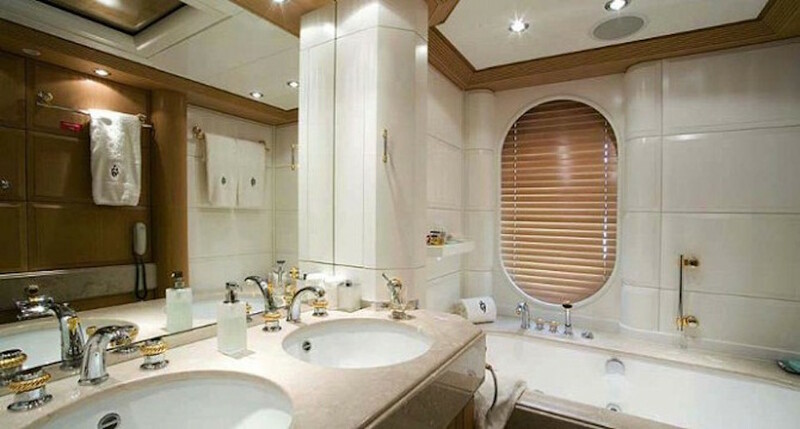 The exterior decks of MERCURY superyacht are also very inviting. 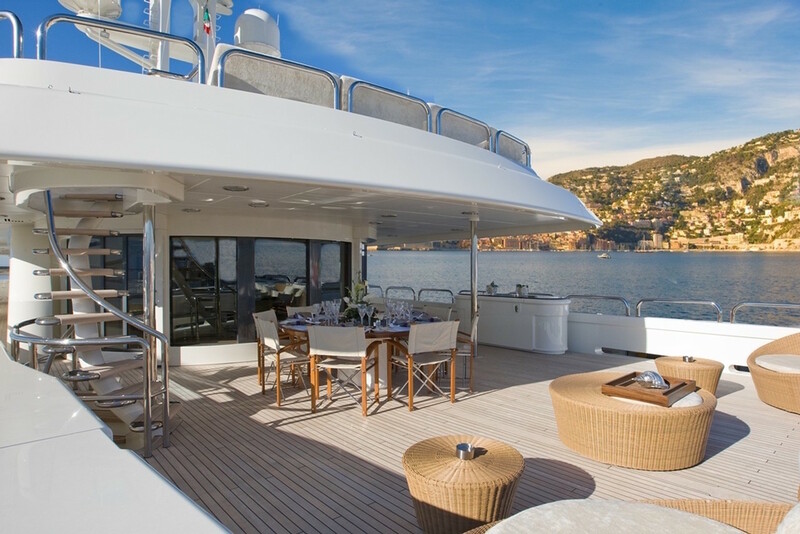 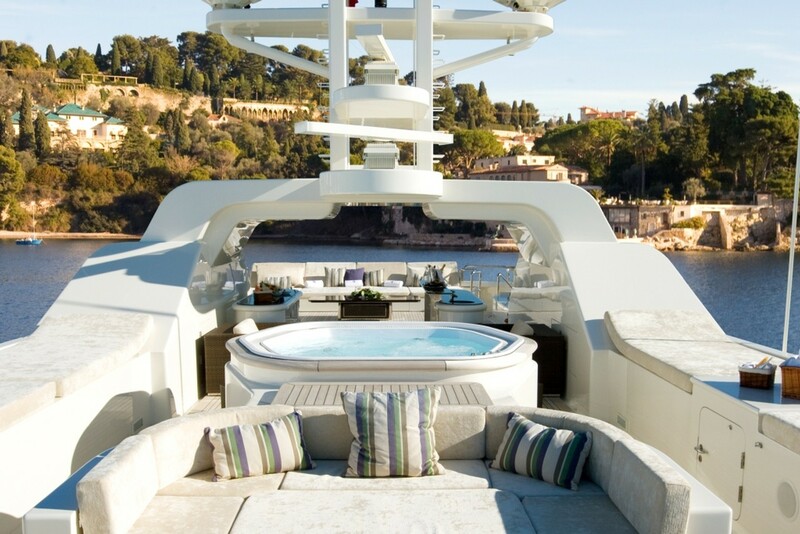 Her large Sundeck is unusually long, fore and aft of the mast arch, to maximise outdoor pleasures and features plenty of lounging space and a spa pool. 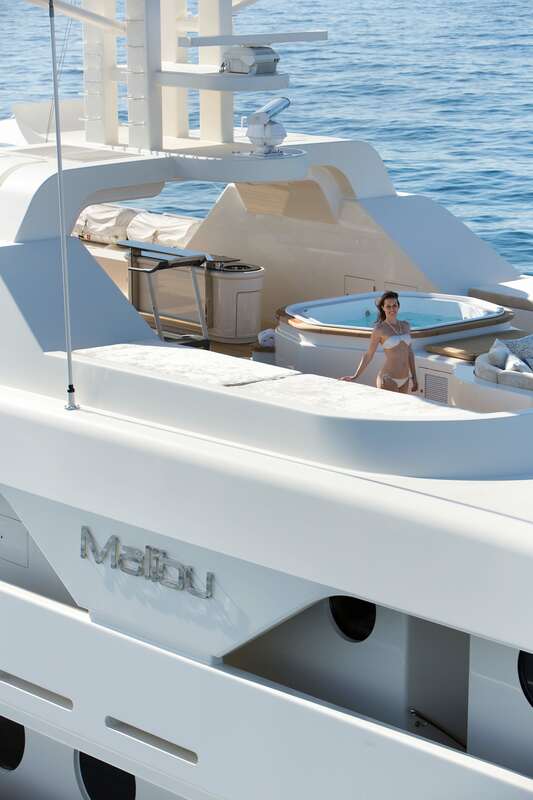 Amels yacht MERCURY also boasts "Zero Speed" stabilisers that ensure total serenity at anchor or while cruising the Eastern or Western Mediterranean. 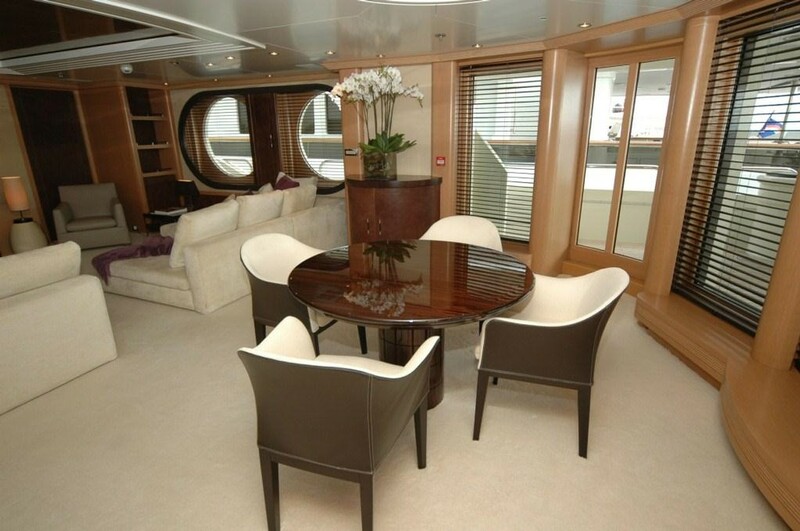 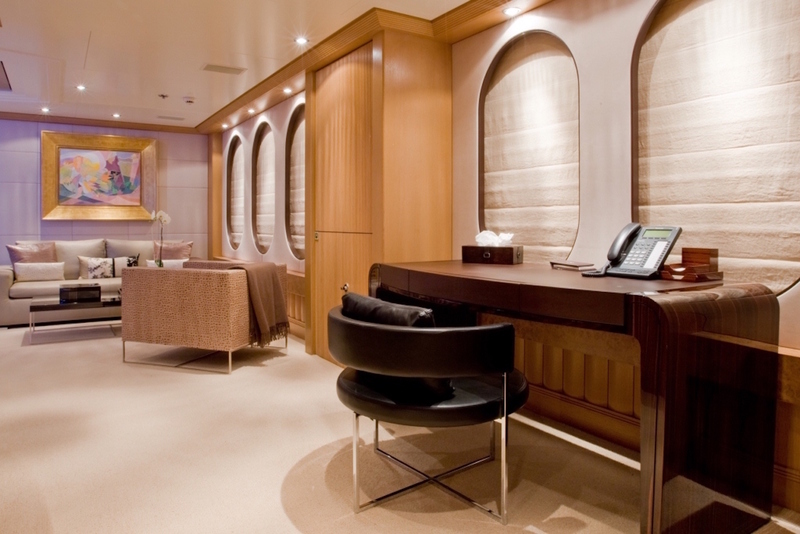 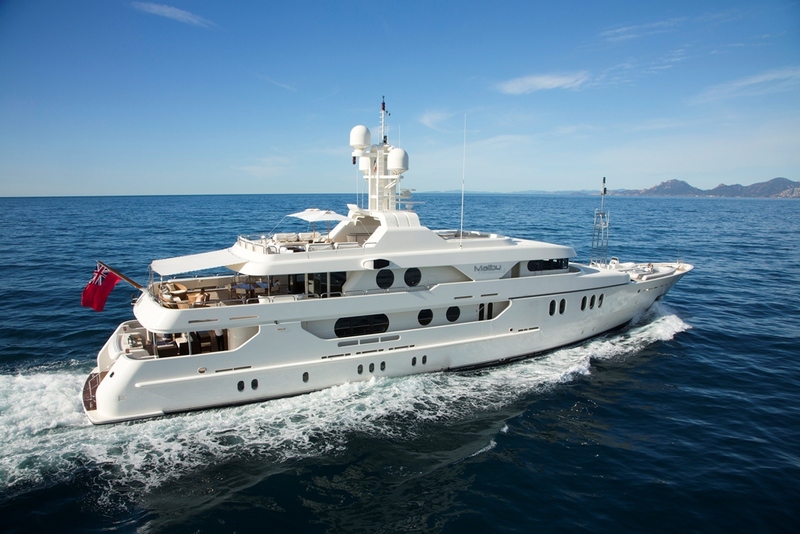 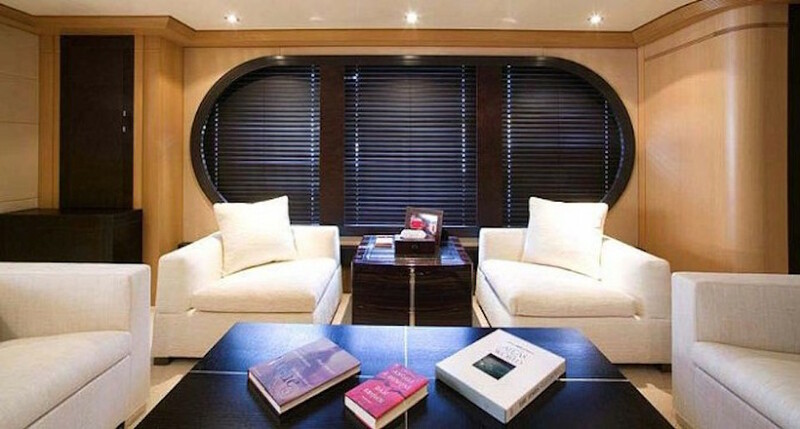 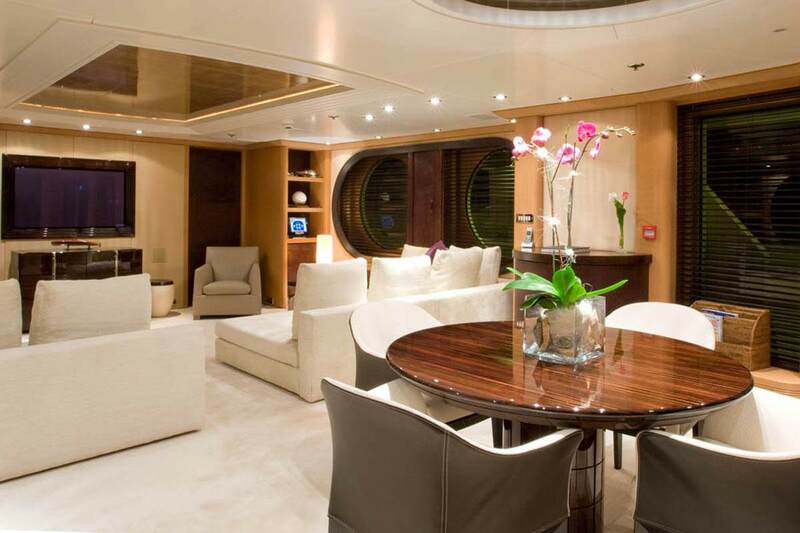 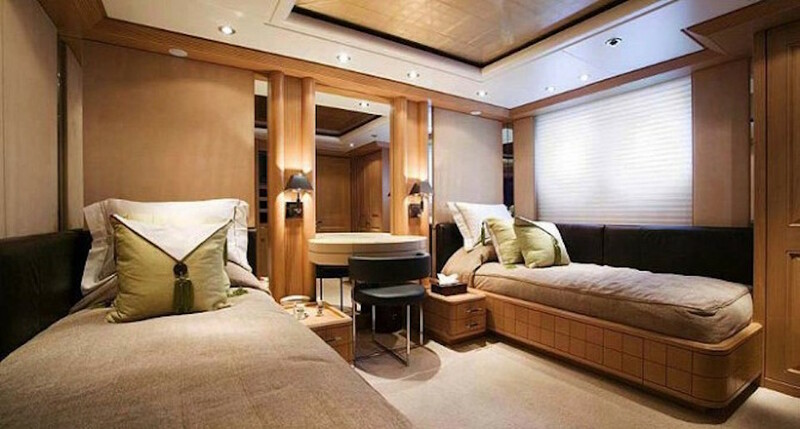 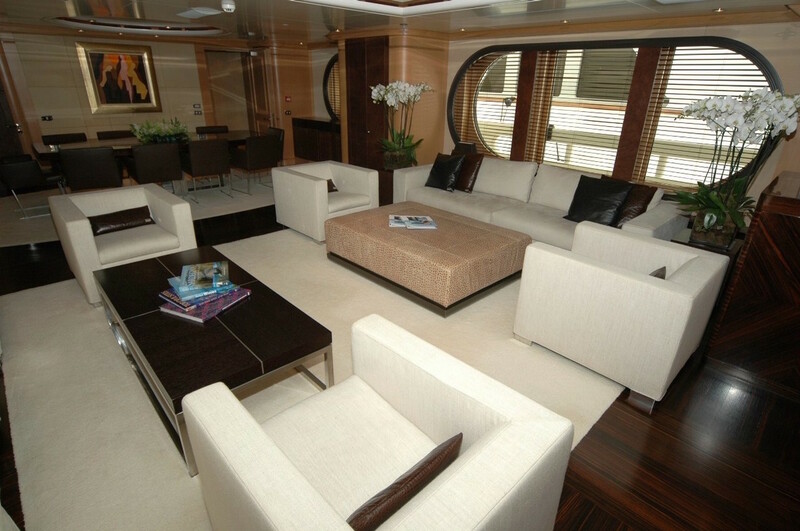 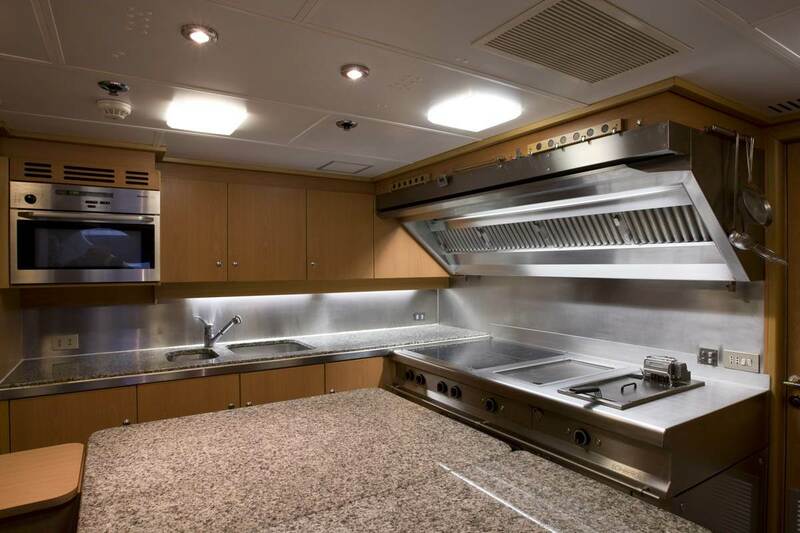 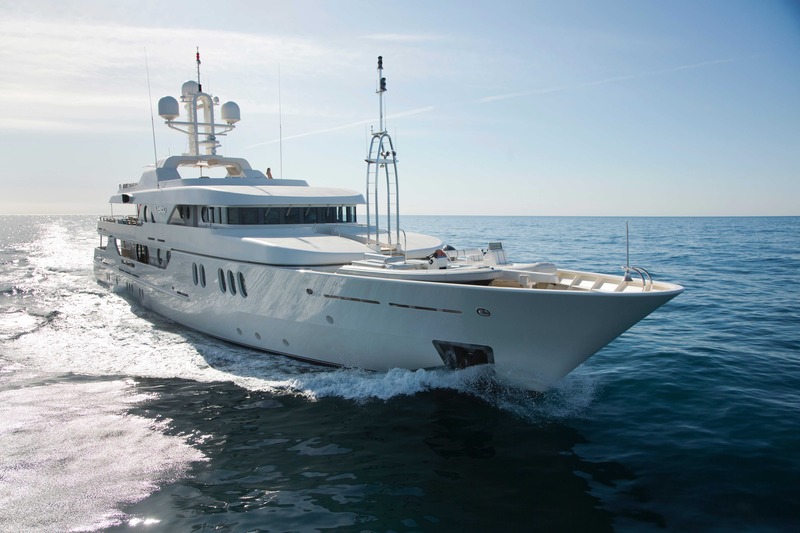 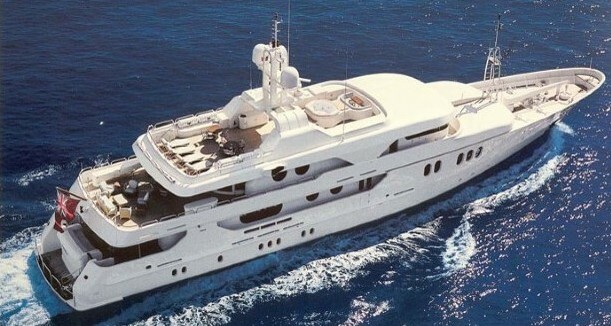 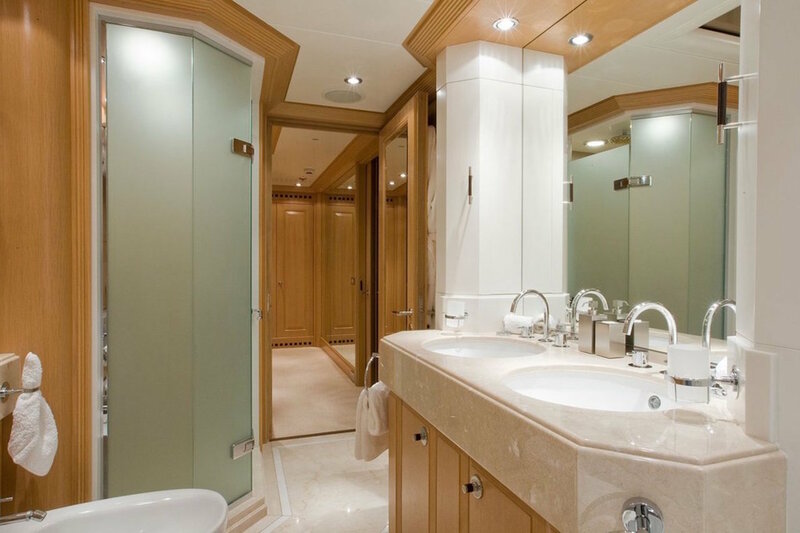 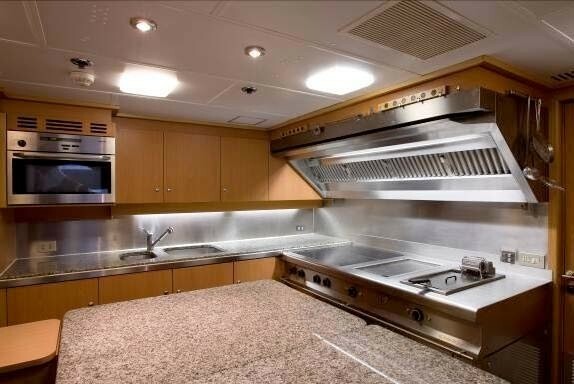 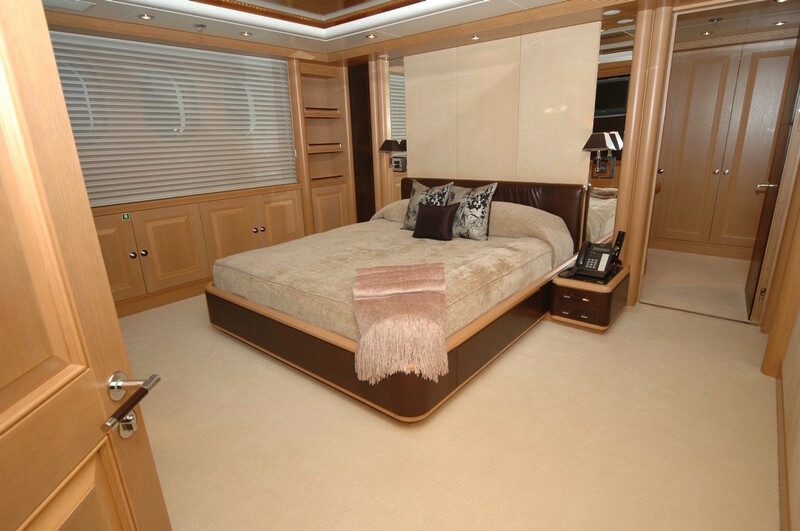 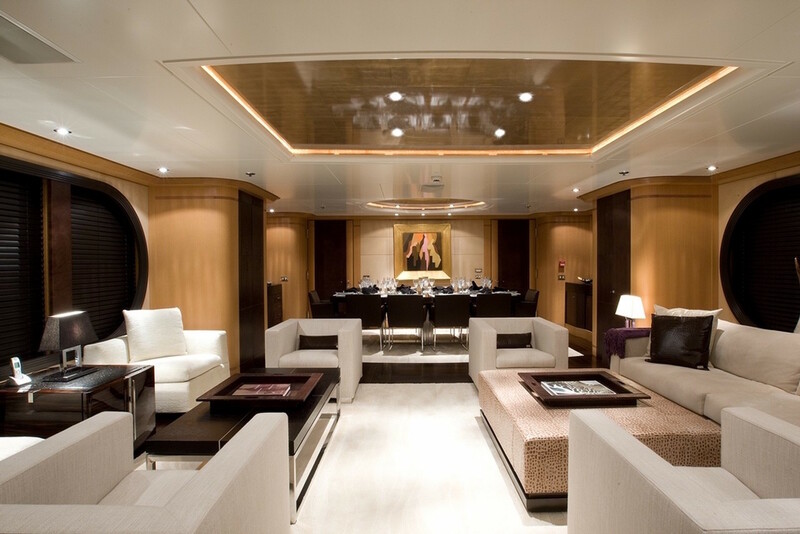 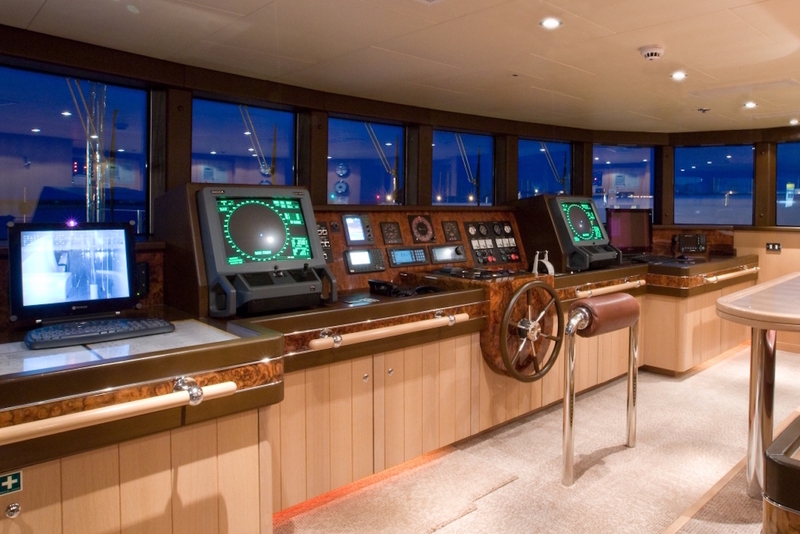 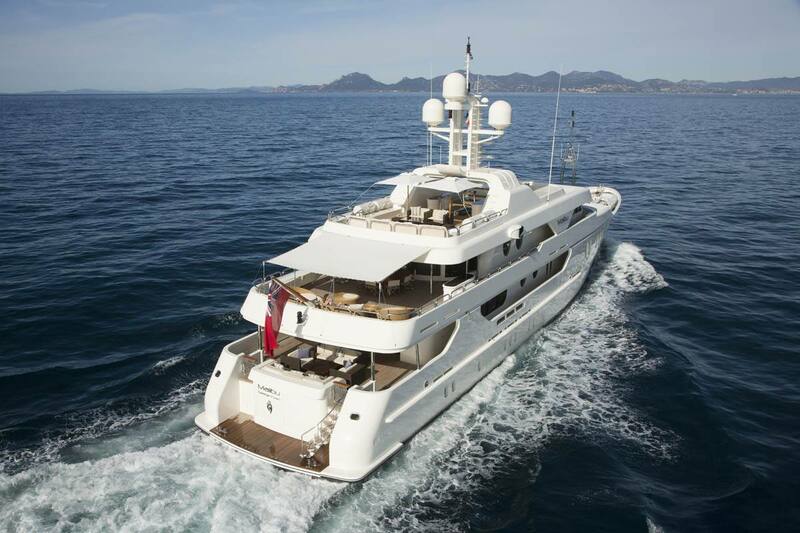 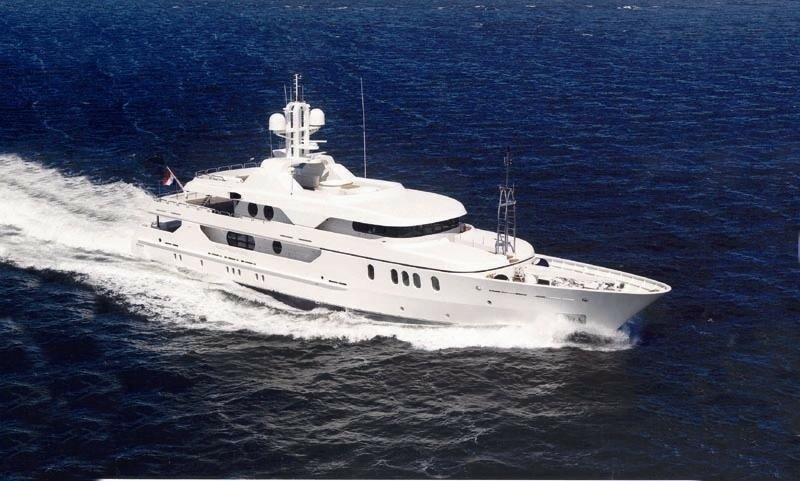 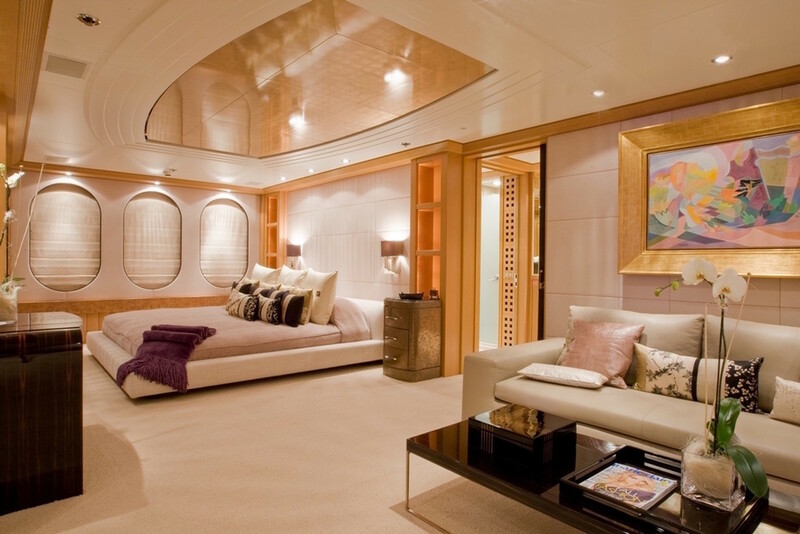 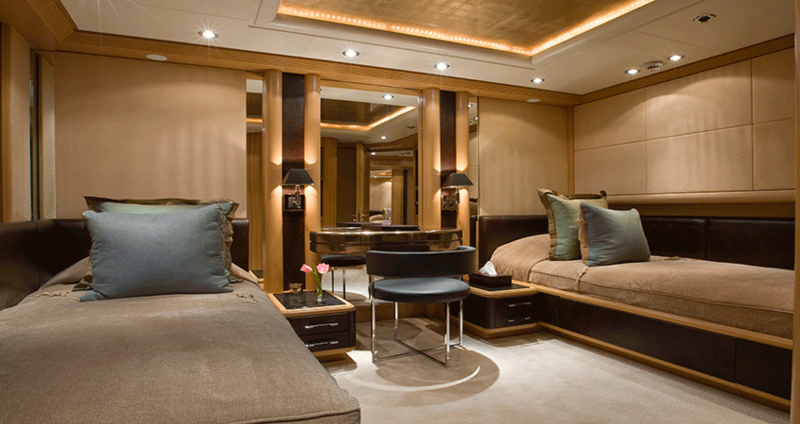 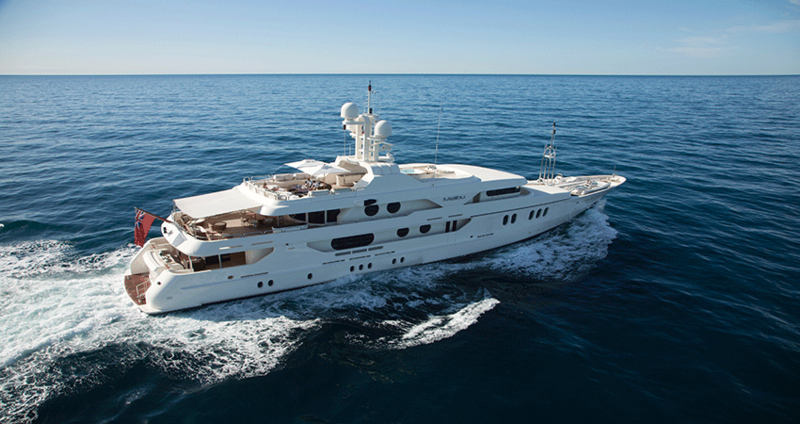 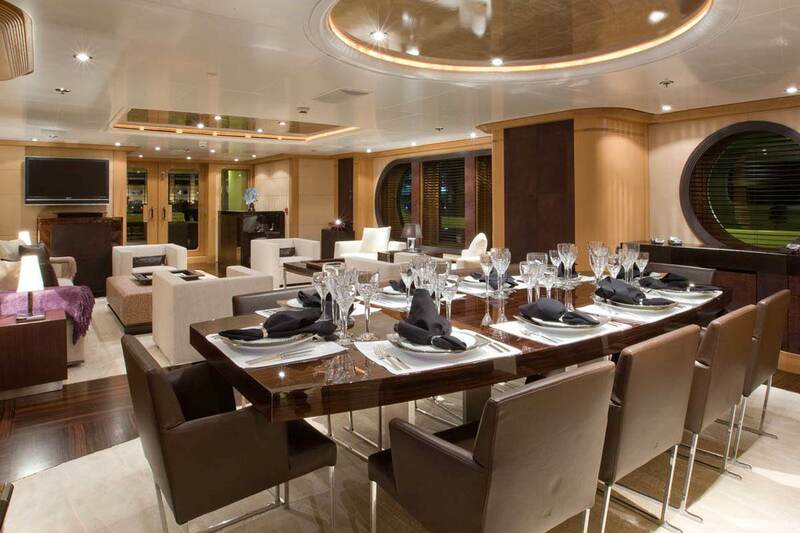 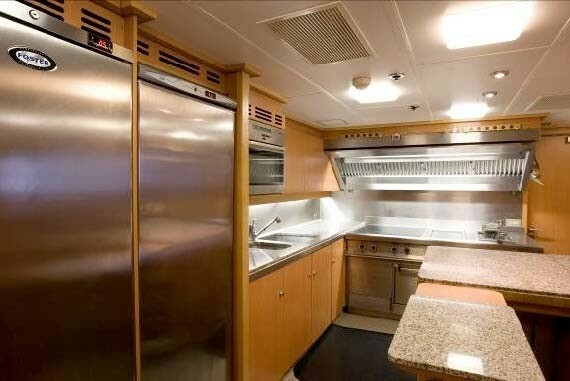 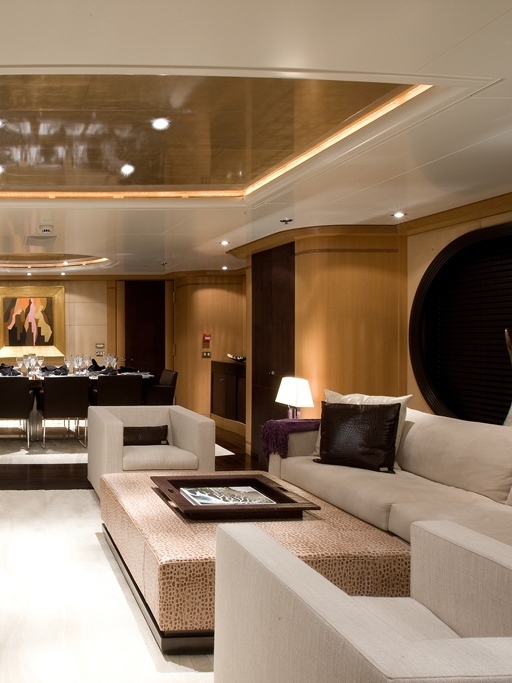 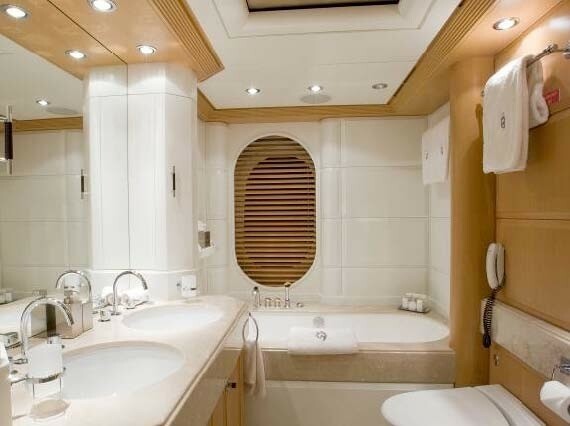 M/Y MERCURY underwent a Major refit on board in 2008 and is regularly upgraded every year. 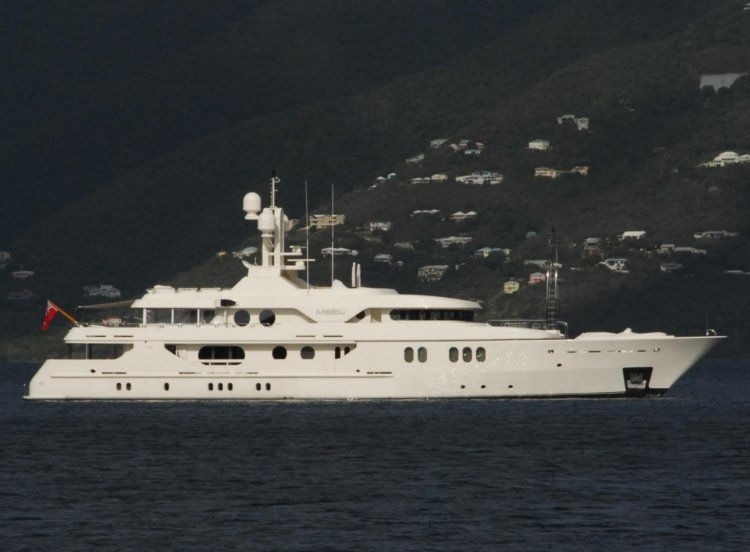 Her Hull was painted in 2012. 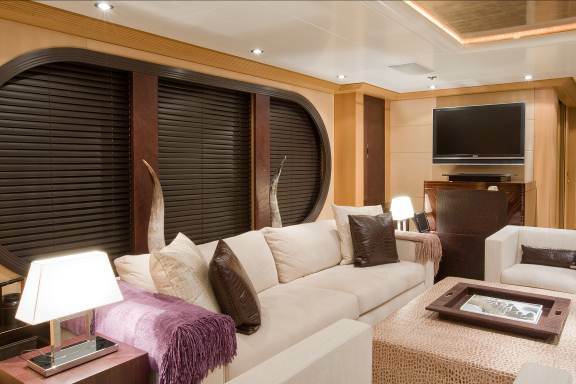 MERCURY is able to accommodate up to 12 charter guests in 5 cabins. 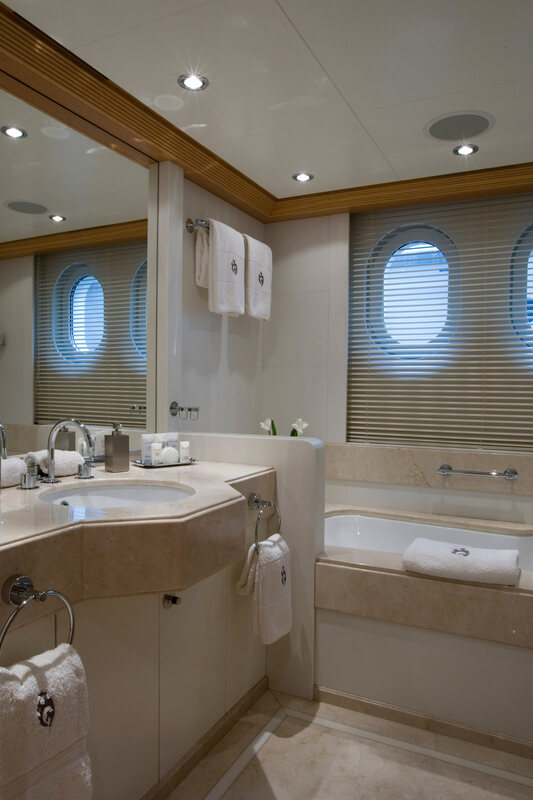 The cabin configuration consists of a master Cabin located on the main deck forward, and two double cabins and two twin cabins located on the lower deck, plus 2 Pullman berths. 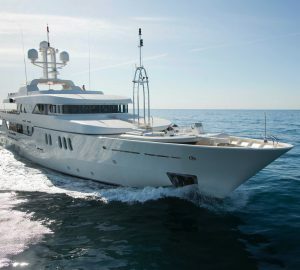 She is able to cruise with up to 12 guests. 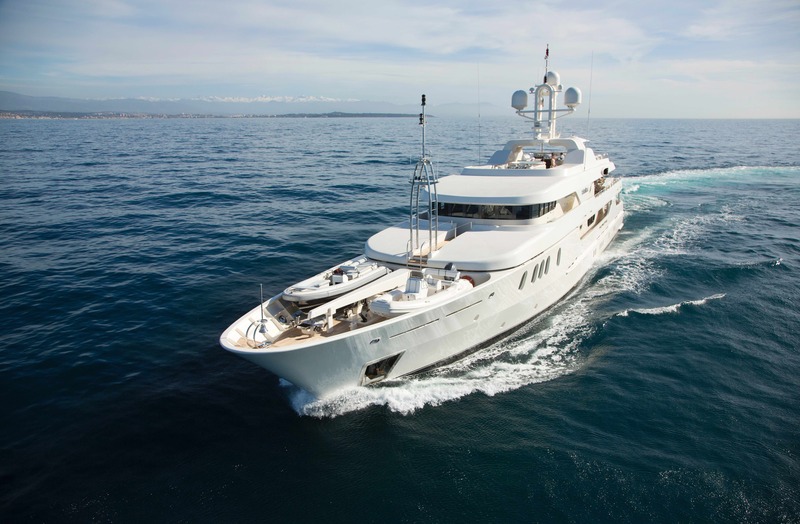 M/Y MERCURY has the following extras onboard: Custom 22ft Tender with FNM HTLP 250 hp, a Yamaha Wave runner Jet Ski XL700, a Kawasaki Ultra 250 Jet Ski, a Kawasaki Super Jet stand up Jet Ski 700, Dive set x4, Snorkeling gear, Fishing gear, Water skis X2, Wakeboards x2, Seabob x2, Banana Inflatable toy Donut, inflatable toys x2, Volleyball set, Audio Visual Equipment and Deck Facilities include: Plasma TV: 1x50", 5x42",4x23" DVD Players: 11, iPod connections throughout the yacht, LINN Audio system throughout, Communications include: SATCOM, Sat B, Sat C, VSAT.